The Glen Onoko Falls Trail on a warm winter day. 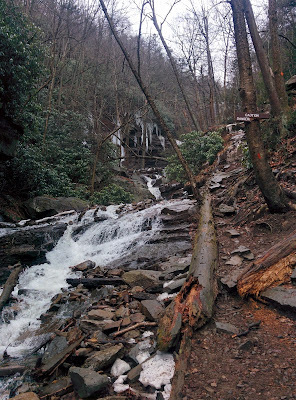 The Lehigh Gorge State Park area is one of my all time favorite quick weekend getaways from Philadelphia, and with good reason. It's home to stunning waterfalls, the beautiful Lehigh River, endless opportunities for hiking, biking, rafting, and other fun outdoor adventures, and sits just outside a beautiful, historic town with plenty of places to eat and stay. By far, my favorite hike in the area is Glen Onoko Falls. It's gotten particularly crowded during the high season, so we've taken to visiting on weekdays or days when the weather isn't ideal. But if you plan ahead, visting on a wonderful spring or summer day can be a perfect way to experience one of Northeastern Pennsylvania's prettiest spots. Lehigh Gorge State Park has over 30 miles of trails, but hiking Glen Onoko Falls is a must for adventurous visitors looking for a serious challenge. 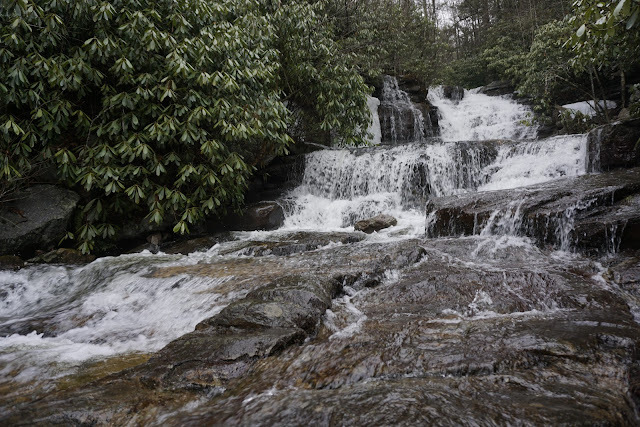 (Technically, the Glen Onoko Falls trails fall under state game land management.) 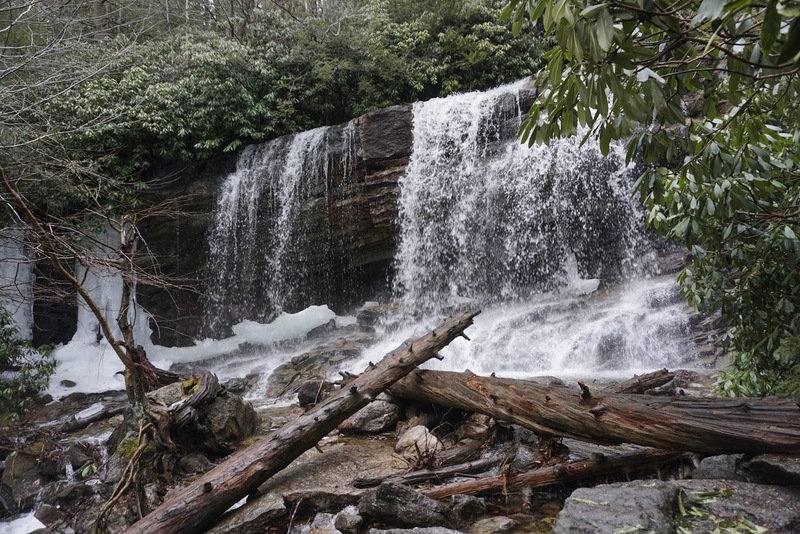 To get there, type Glen Onoko Falls or 40.883555, -75.760422 into your preferred navigation app. The closest parking lot typically fills up very early, but there are a handful of overflow lots. 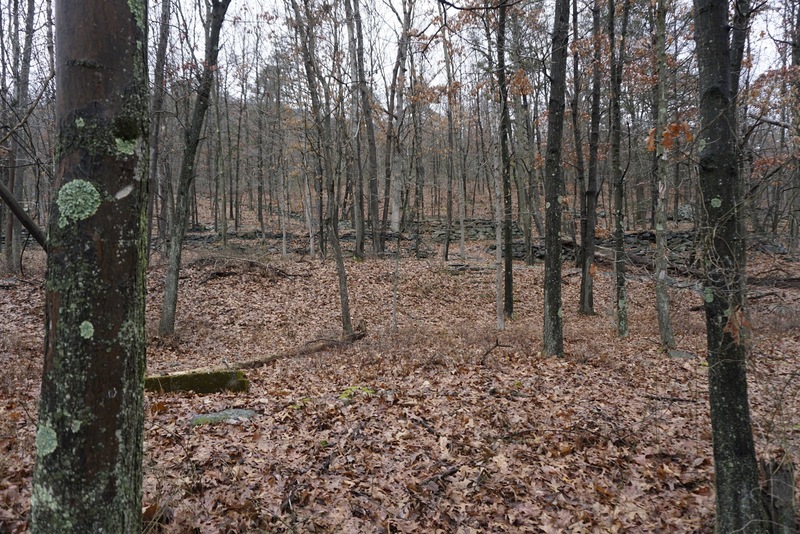 In the ten or so years I've lived in Philadelphia, I have yet to find a reliable map for the area, and the trail can be a challenge to find and follow in some spots. After arriving at the parking lot, look for Falls Trail signs and information boards, and head down the adjacent large set of wooden stairs toward the Lehigh River. Turn right, cross under the large car/rail bridge, and turn right up a small hill. Some of the terrain near the bottom of the hill, and some beautiful old stone walls. At this point in the journey, you'll have already come across information boards displaying warnings about the danger of the trail. The area is subject to significant erosion, and due to the trail’s proximity to water, it's wet year-round. Experienced hikers with proper footwear using the trails with common sense shouldn't have great difficulty, but serious injuries sustained by visitors getting too close to the edges of some of the waterfalls have occurred on an annual basis. Heed the warnings; make sure you have sturdy shoes, stay on the trail, and be mindful of areas that are blocked off. The trail turns left after the short hill ascent and flattens out, but the further you get, the louder the sound of cascading water will be. The waterfalls you'll follow from here originate from a mountain spring and flows all the way down to the Lehigh River. At this point, the nearly 1,000 vertical foot climb begins. 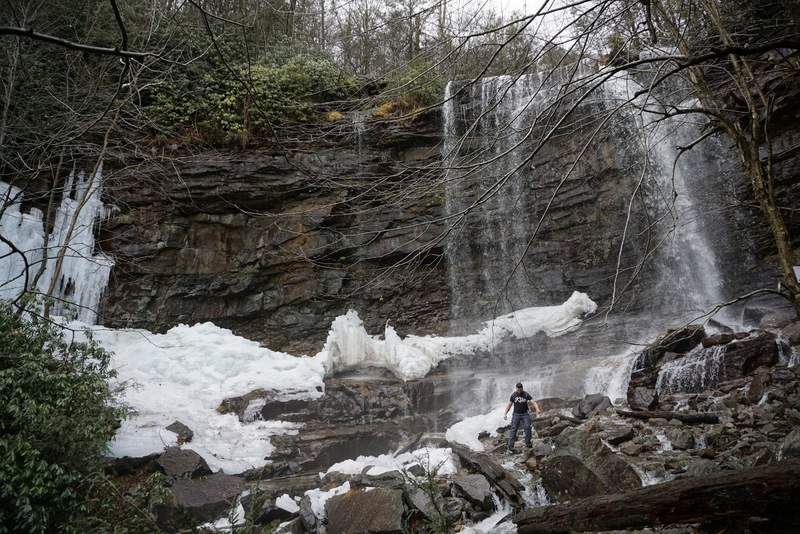 Glen Onoko Falls in winter, after a thaw. The spray can be refreshing on a warm day, but man was it cold on that day! Follow the trail's reddish orange blazes (we saw a few yellow ones too) as closely as you can; they're tough to spot on some parts of the hike, and on my most recent trip there, following them requires crossing the cascading water twice. Be mindful of graffiti and side trails threatening to throw you off course; just like water finds the easiest way to get from point to point, people and animals often do the same. 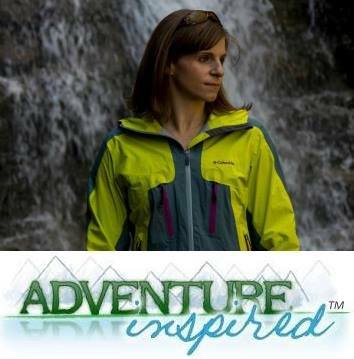 You'll scale large rocks, steep slippery, muddy slopes, and do it all with plenty of chances to take in the scenery. The first major waterfall, Chameleon Falls, is a great spot to stop and rest after about 0.5 miles of hiking. Glen Onoko Falls, the second of three named waterfalls on the hike, is next. It's impressive both in height and in width; the cascading water sprays moisture all over the glen, especially after heavy rains. The cascades en route to Cave Falls beyond Glen Onoko Falls, taken on a warm January day. From here, you can, proceed a bit further uphill and look for a blue blazed trail that turns sharply right to head back down. It’s an easier descent than going back the way you came, and makes a complete loop for those who don't love out-and-back hikes. Cave Falls, the third named waterfall on the route. You can walk behind it, but on this January day, we sure weren't going to! If you're visiting on a nice day, absolutely plan to get there as early as possible to score a parking spot. The small Glen Onoko Access parking lot fills up quickly, and though there are overflow lots, those can fill up as well. Seriously, stay on the trail, heed the warnings, and don't step over or walk around ropes designed to keep you from getting too close to a steep drop. Don't do this hike without proper footwear, and remember, Mother Nature and her towering cliffs don't care how much hiking experience you have. Make some time to explore the old railroad tunnel cave, accessible from the overflow lot closest to the main Glen Onoko Access parking lot. It's super cool! There's a third named waterfall beyond Glen Onoko Falls, Cave Falls, that I've yet to go take photos of, and another vista called Oxbow Bend two miles beyond Glen Onoko Falls I have yet to get to. But when I do, I'll update this post! Have you been to this area of Pennsylvania, and/or to the two spots I haven't made it to in that area yet? I'd love to hear from you!